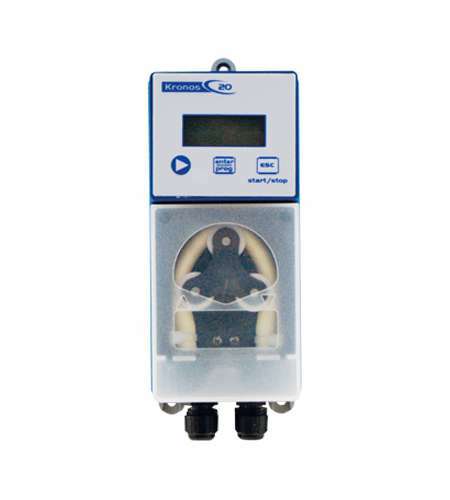 PoolKronos 20 builds on the PoolKronos 10 peristaltic system. A proportional dosing system designed specifically for Swimming Pool applications, it also uses built in controllers for pH/ORP analysis and offers installation flexibility, user-friendly programming and proportional chemical dosing using pH or ORP analysis. The PoolKronos 20 has an improved lCD display for ease of reading measurements.